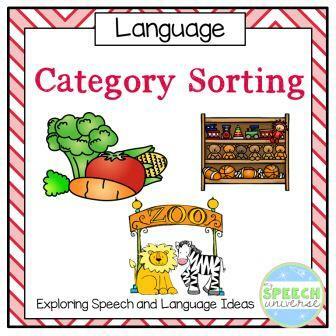 One of my very first items on Teachers Pay Teachers was my Category Sorting activity. So many of you have purchased and used this product, and for that, I am so grateful! Over the years, I have changed this product a bit for use in my speech room, and thought I would share my changes with you. The first change I made is that I added three additional pictures for each board. With 10 boards, that is a total of 60 different item cards now! Categories include: farm animals, zoo animals, fruits, vegetables, letters, shapes, numbers, colors, toys, and vehicles. If you have previously purchased this product, please go HERE to update your product. Click the Download Now button to get this. If you have not previously purchased this product, you can go HERE to get this fun set of category sorting mats.